Cliff Hart Agencies, full service insurance and financial consulting provider with offices that serve the greater Detroit metropolitan area and the surrounding region, is announcing a Michigan-based charity initiative to promote cancer awareness and raise donations for cancer research. The Cliff Hart Agencies, a locally owned insurance and financial planning consultancy serving communities throughout eastern and central Michigan, is embarking on a state wide charity event to promote cancer awareness and raise funds to be donated to the American Cancer Society. 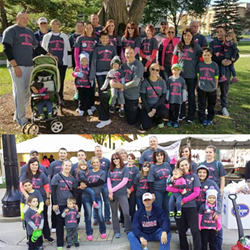 The manager of Cliff Hart Agencies, Amanda Kuch, is herself a breast cancer survivor and has encouraged the firm toward charity work that revolves around supporting organizations that fight cancer. As the largest and most recognized charity of its kind in the world, the American Cancer Society is an ideal candidate for the Hart team charity event. “We’re thankful every day that Amanda was able to overcome cancer, and now we’re on a mission to support new cancer research and empower cancer survivors by raising funds for the American Cancer Society,” says Cliff Hart, founder and acting director of the Cliff Hard Agencies. The Cliff Hart team is utilizing social media and email to make contact with families and civic leaders across the state of Michigan as they promote the American Cancer Society charity event. The Hart team will also be producing a full page article on the charity event, which is scheduled to be published in the next edition of “Our Hometown,” a monthly online periodical hosted by the agency: http://www.cliffhartagencies.com/Our-Hometown-Magazine_41. The American Cancer Society isn’t the only Michigan charity receiving assistance from Cliff Hart Agencies. Since the beginning of the year, nearly half a dozen charitable organizations operating in the state have enjoyed support from Cliff Hart Agencies, and the Hart team has committed to assisting another local charity every 60 days. Readers that wish to be part of the American Cancer Society charity event alongside Amanda and the Cliff Hart Agencies team are invited to take action in support of the cause from the following page: http://www.cliffhartagencies.com/Giving-A-Hand-To-Those-Fighting-Cancer-In-Our-Community_20_community_cause. Additional information on previous charitable causes and nonprofit organizations assisted by Cliff Hart Agencies can be found on the firm’s Community Causes roster: http://www.cliffhartagencies.com/community-cause.